Two blogposts in three days, look at me! I've really fallen out of the habit of taking outfit photos, but together with my mini tripod and a whole lot of books balanced on the bed, I managed to take some today. I'm still unwell, this horrid virus is showing no signs of giving up any time soon, but drying my hair and putting on a bit of make-up made me feel a bit better! I love this jumper, I found it on eBay for a couple of pounds and although it's not a brand I've heard of it's really snuggly and soft. 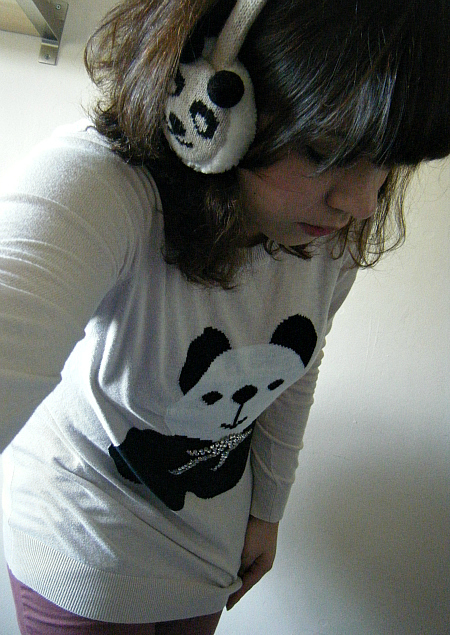 Plus it has a panda on the front - you may remember my panda obsession from such classics as the Panda Hat of last winter - which means I was able to team it with my new panda earmuffs from Accessorize! I'm also wearing Dorothy Perkins jeans, featured a while ago on the blog, and big fluffy slippers that you thankfully cannot see in the pictures. I do love the colour of these jeans, I just wish the sizing wasn't quite so dodgy. I bought a 14 but they're so stretchy they keep falling down, so I guess I'm a DP size 12 - just about the only shop where I can squeeze into a 12! 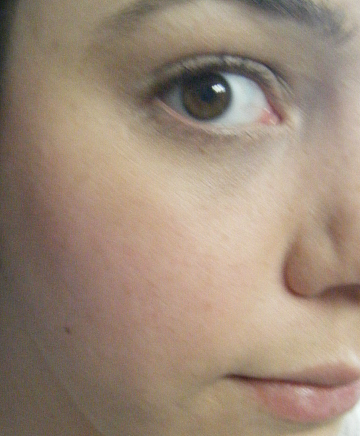 I tried to photograph the MAC Studio Sculpt foundation with the Soap & Glory Cheekmate stain here, but the lighting was not cooperating and it came out rather blurry! I think the foundation could be a little heavy if you were to use a lot, I tend to use a tiny bit and sheer it out over my skin so it doesn't look too mask-like. It doesn't cover blemishes very well this way but I guess that's my own fault for not applying loads. It will face a real test when I go back to work as it will have to last long days with no access to powder or touch-up sessions, so I will let you know how it goes! I promise I will really make an effort with outfit posts from now on, I've really missed blogging properly! 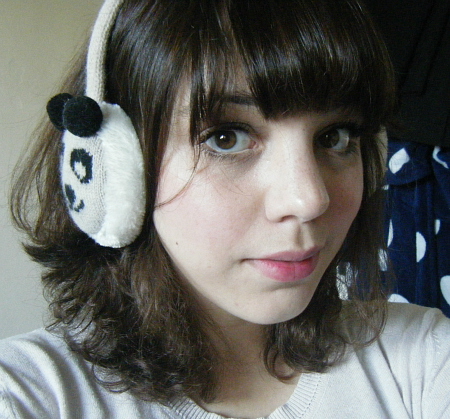 I adore the earmuffs! I need some in my life. lovely outfit and perfectly mix. I love, I need an earmuffs like yours. Ohh this is so cute!! 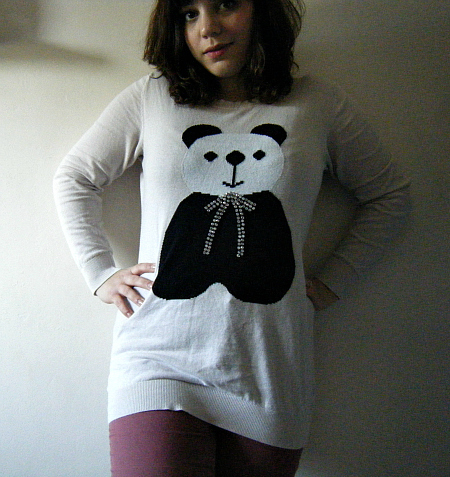 O_O that jumper is so gooodd! You make me want to chop off my hair into a bob O_O you make it look so cute and french!